This shows both seals on my 75 V8, however only the rubber seal should be present. Foam seal AHH 7120 was used on Mk1 cars and no rubber seal. After that the rubber seal BHH209 was used on its own up to September 76. 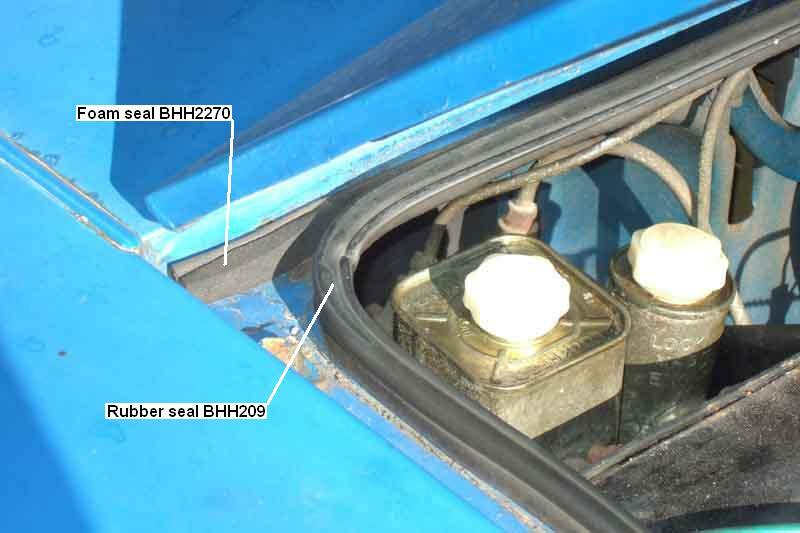 For 77 and later cars both seem to have been fitted, with the foam seal now BHH 2270. Originally I though all Mk2 and later cars had both seals so added one to my V8, then subsequently discovered it was either/or, only some time later discovering that both were apparently provided at the end. And for completeness the buffers (one each side). Showing the general positioning relative to the front of the car (this is a V8 which has the same forward-mounted radiator as the 77 and later 4-cylinder models). Some say early cars had four buffers the additional two being near the rear of the side channels, possibly Mk1 cars with the foam seal. 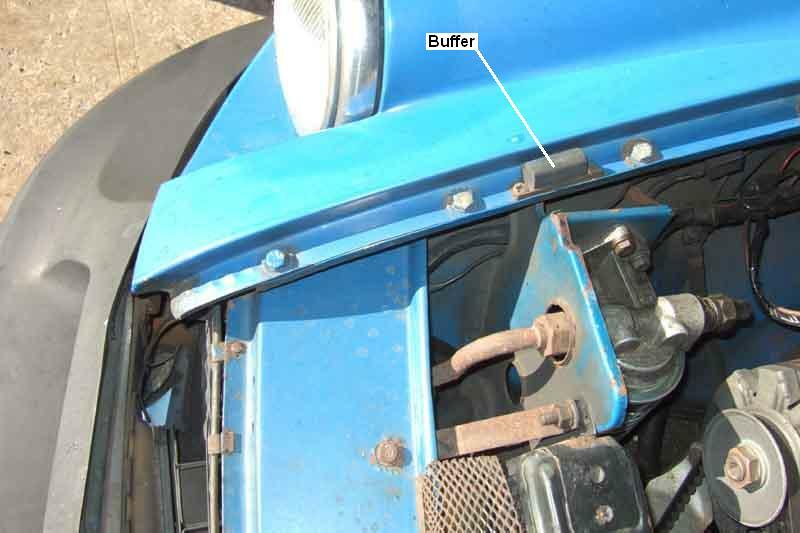 The Parts Catalogue only says 'as required' and although Clausager shows two cars with the foam seal it doesn't show enough of the side channels to see if they are present or not. One picture I have seen shows them situated mid-way between the two rear-most channel bolts. 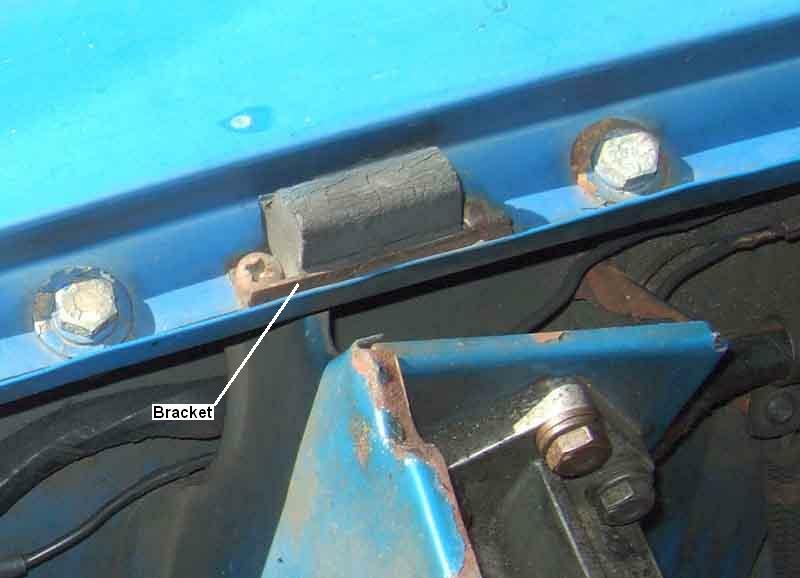 Detail showing the right-angle bracket on the buffer being hard up against the inside of the channel.